Carriage style doors are becoming more and more popular for a number of reasons. One of the main reasons is that homeowners in developments or subdivisions where homes are all built to look uniform are tired of having the same doors as all of their neighbors. When all of the houses on the block look the same, your home loses its character. Many people are moving more toward taking steps to set their home apart and carriage style doors are a great way to accomplish that. Stamped doors are made when stamps, or designs, are added to a basic steel garage door to create a more decorative look. There are lots of different options to choose from with stamped doors. While most companies should have between 5-10 standard color options, some companies will also offer 3-4 wood-grain paint options. Stamped doors are typically the most popular option as they are the more economical and affordable choice. “Overlay” is when you take a steel door and attach a composite overlay to it. 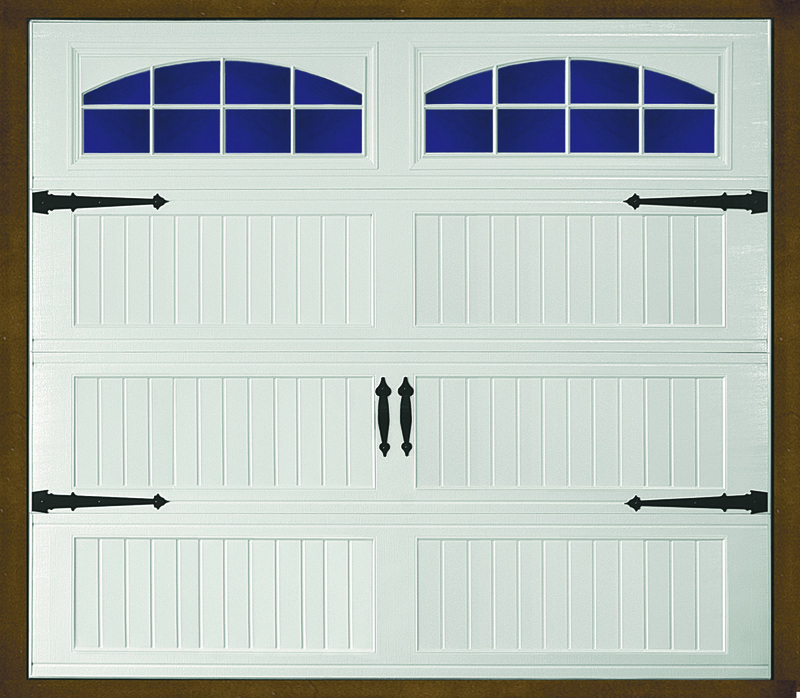 Typically, overlay doors are similar to vinyl, which means they can easily be cleaned and painted. They can also be painted with a wood grain pattern to create the look of wood without having to deal with the high maintenance levels of real wood. There are numerous variations for how this can be used and a multitude of different styles to choose from. 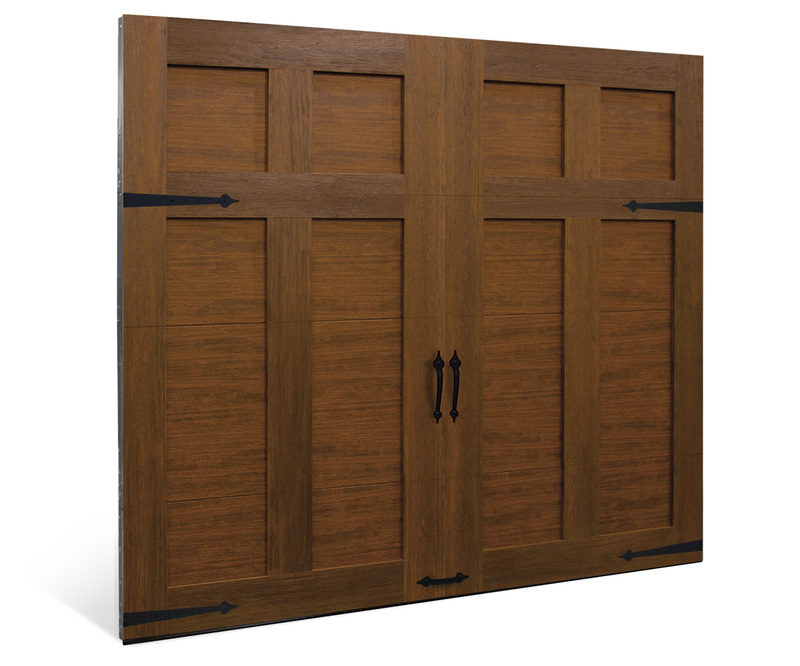 A third option is also an Overlay door, but it is stained instead of painted. Staining is often considered a better way of achieving a wood-like look for your door because it can look much more realistic than paint. No matter which of the 3 options you choose, you can always add more to achieve an even more custom-look. Set your home apart by adding elements like fancy glass, patterns, grilles, and decorative hardware. Clearly there are a lot of different options out there — as far as style, color, design, and options go — but the team at Omaha Door & Window is here to help you decide on what’s best suited for your home. 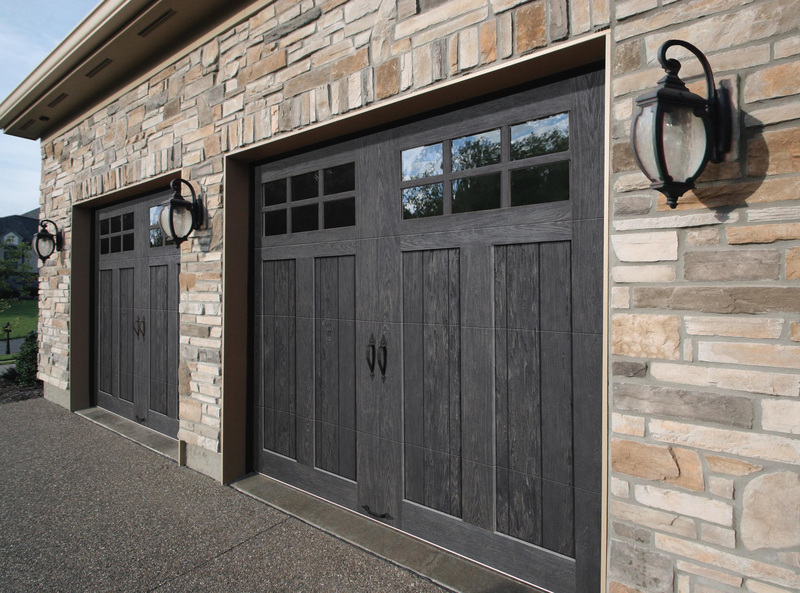 Click here to visit our website for more information on garage doors.